Going bigger and bolder, 2017’s hair colours are playing off the styles you were rocking last year and enhancing them. 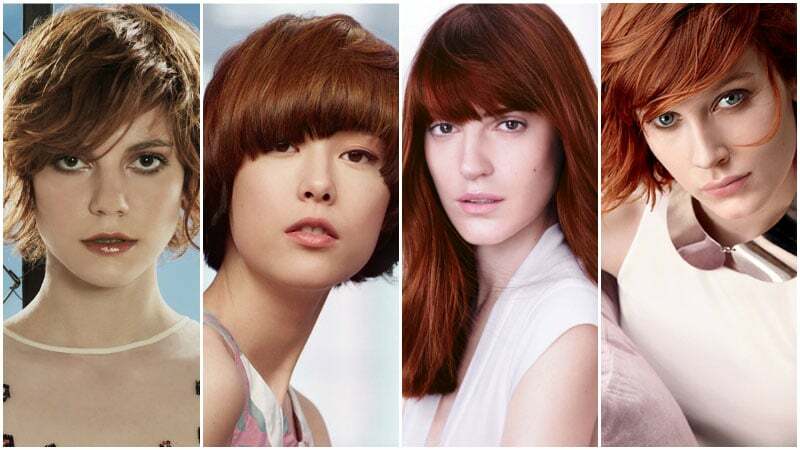 From new shades of grey, platinum, coral, and rose gold to the advancement of blended colours like blorange, red-brown, and tiger eye hues, this year’s hair colours are chic and contemporary. Although 2017 is going to be a great year for the extrovert (how about a two-toned pastel look? ), those who prefer a more natural appearance will also be pleased. Kicking back against the unnatural shades is a new wave of natural blondes, ash browns, and rich brunettes without highlights. So, whether your style is relaxed and casual or loud and proud, you’re sure to find a killer colour this year. Blorange is the colour mix to watch in 2017. The gorgeous shade, which combines tones of blonde and orange, is set to be one of the hottest hair trends of the year. Inspired by last year’s popularity of strawberry blonde, copper, and warm peach hues, this stylish hair colour hybrid is light, bright and perfect for sunny days. There’s never been a better time to go grey. Instead of fighting those colourless strands, try embracing them in 2017. 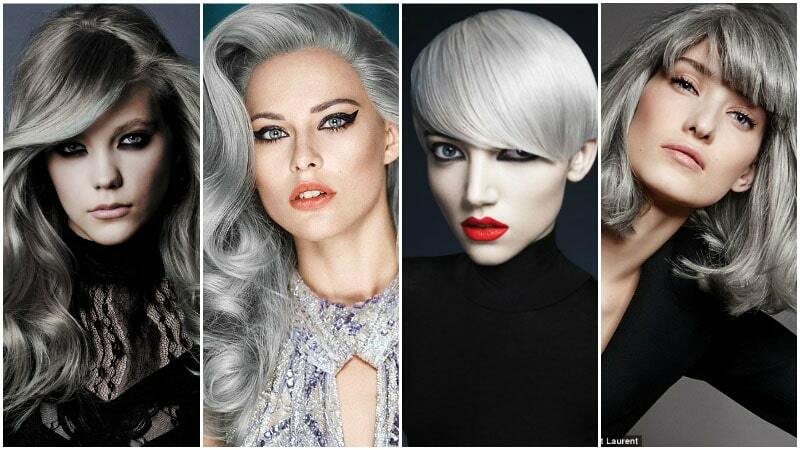 Whether you opt for a chic, platinum silver or choose a moody, ash grey, this colour has never been cooler. Just be sure to eliminate any brassiness by using a toner. 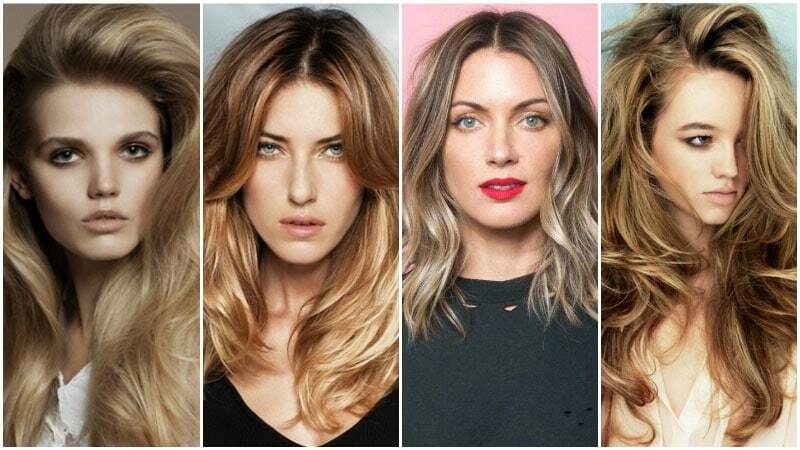 If you love the look of grey strands but prefer something a little more natural, how about trying an ash brown hue? The colour promises to be highly popular in 2017 and is perfect for anyone with a cool complexion or pink undertones. The shade, which uses tinges of grey and blue to create an ash tone, is fantastic as either a base colour or highlights on darker strands. It’s also very low-maintenance, meaning that you can push your time between salon visits a little further. Platinum blonde is still a major hair trend and won’t be going anywhere in 2017. Instead, the colour will simply be updated to remain current. The modern version of this style is whiter than its predecessors and features less yellow tones. The chic and elegant colour also has a sense of old-Hollywood glamour and sophistication. Although going platinum is a commitment, the stylish rewards tend to outweigh the costs. Just remember to keep locks healthy and well cared-for, or you’ll find your new hair quickly looking tired. While 2017 will see plenty of bold and unique hair colours, it will also see a return of natural hues. In particular, natural blonde colours will be a big trend for the year and are already popping up on celebrities and models. 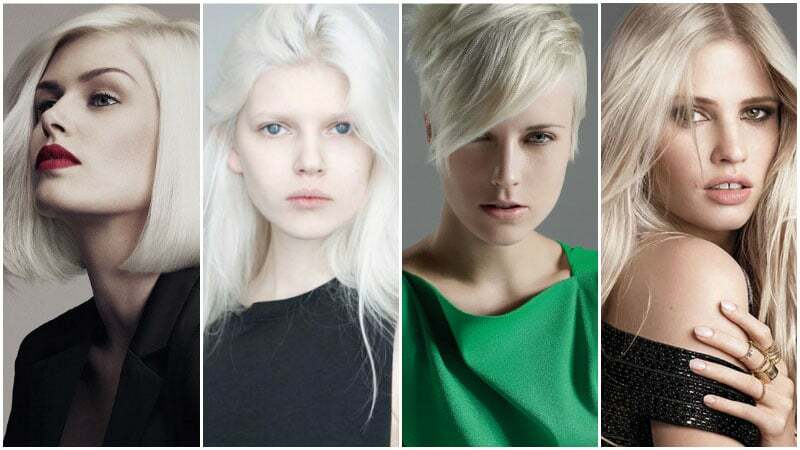 A lovely alternative to intense platinum tones and dark blonde styles, natural blonde is appealing because of its simplicity. Not too bright or highlighted, such as many of the blondes from past years, this new natural tone is neutral and appears as if you have grown it yourself. Luxurious and chic, dark blonde is a beautiful hue to try in 2017. Featuring deep shades that almost verge on brown, this killer colour is perfect for brunettes looking to go lighter and blondes looking to go darker. 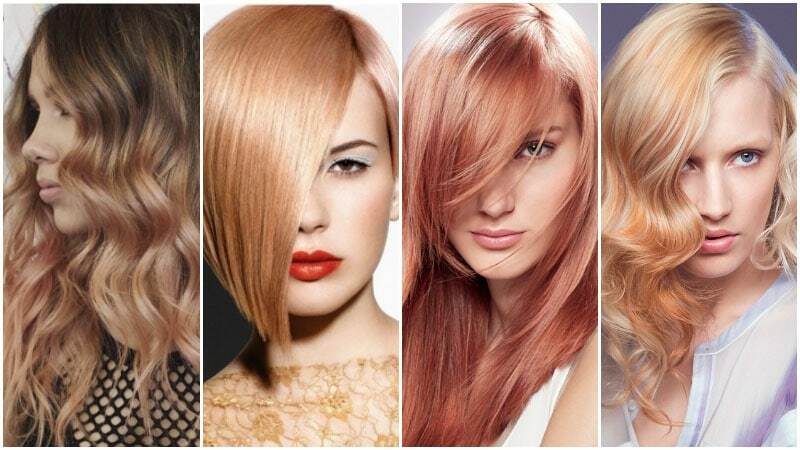 As most dark blonde shades feature plenty of golden tones, this trend works best for women with warm complexions. 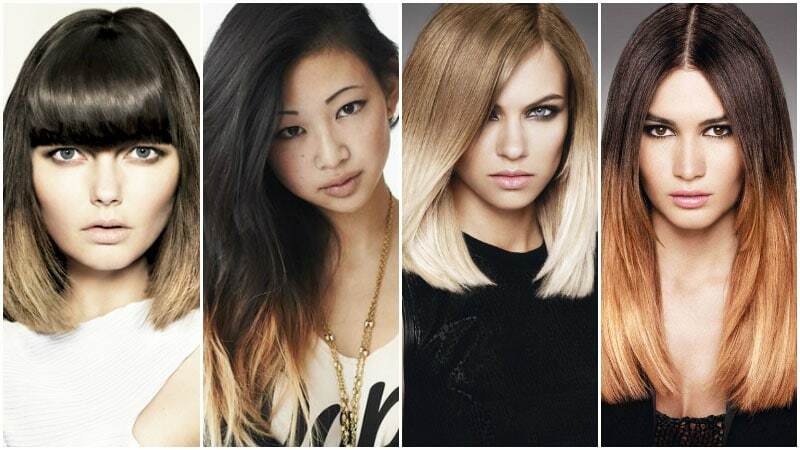 If you do happen to have a cooler skin tone, your colourist can help you find the right shade of dark blonde for you. Dip-dyed and grown-out styles of colour are going to be big in 2017. Starting with one hue on the roots and tops of strands before making a sudden change to another, the look is a bolder version of ombre. One of the best ways to rock this trend is with blonde ends. No matter if you’re a brunette, have black hair or are already a blonde, this style can work for you. As well as being a chic and contemporary look to try, blonde ends are also a quick and easy way to give to drab locks a new lease on life. 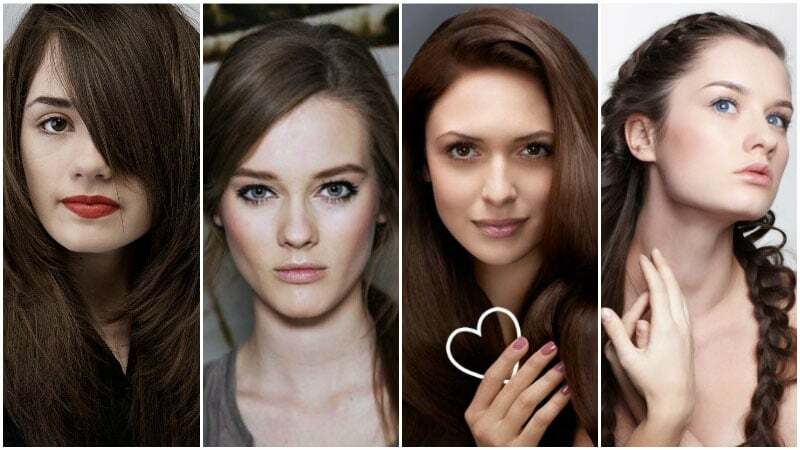 Another natural hair colour that you’ll see plenty of this year is rich brunette tones without highlights. Although this trend returns to the basics of colouring, it’s far from boring. 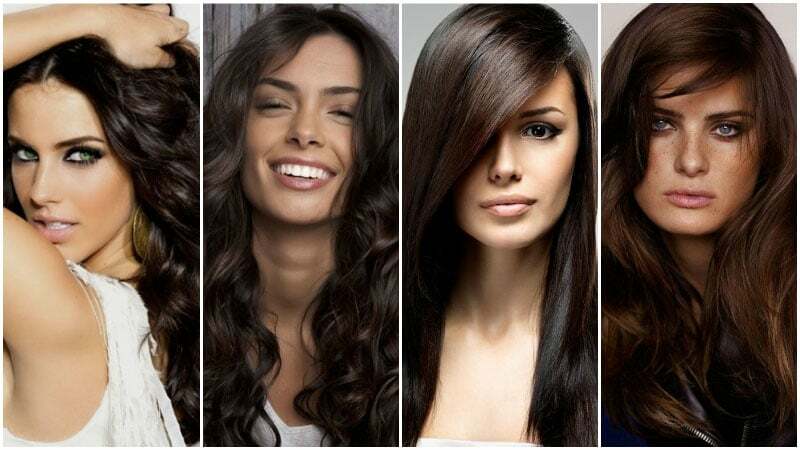 By choosing the right shade of brown and keeping your hair healthy and shiny, you can have gorgeous locks without any lighter strands. Shades such as mahogany and deep chocolate are more than capable of offering lustre and dimension all on their own. Like blonde ends, chestnut ends are also set to be popular in 2017. The two-toned look features colours, such as rich, chocolate browns, that fade into warm chestnut ends. 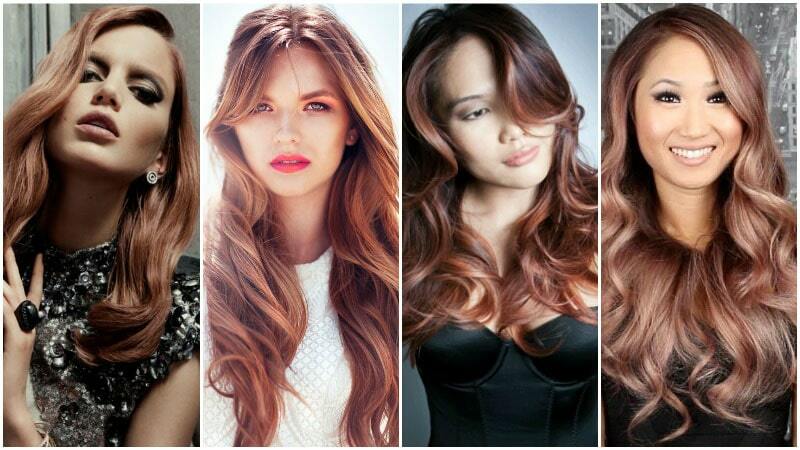 The red-brown tone, for which chestnut is known, is the perfect way to spice up your strands. The look is especially lovely for autumn and winter seasons. Hair colour doesn’t have to be bright to be bold and eye-catching. This year, dark brown hues are creating quite the stir with their intensity. So dark that they’re verging on black, these colours are simultaneously sensual and semi-gothic. Pair the colour with a dark, smoky eye for the ultimate evening look. In 2017, any mix of hair colours is a possibility. While you already know about bronde and blorange, it’s now time to learn about red-brown colours. 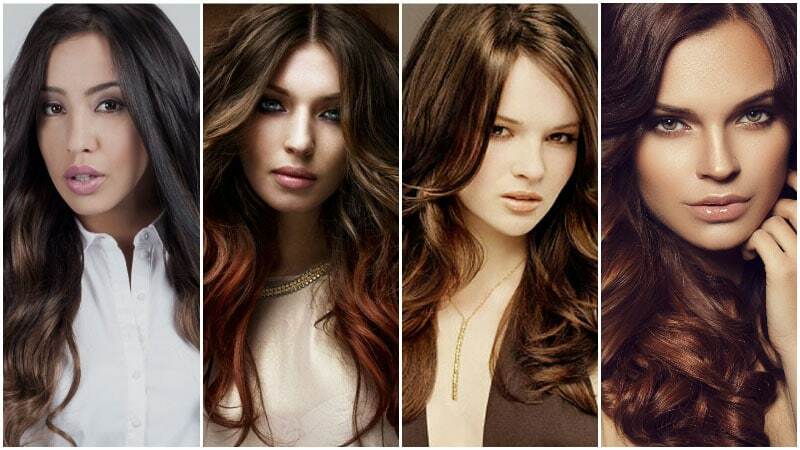 Sitting between fiery strands and brunette locks, red-brown hair colours are warm and beautiful. Choose from lighter brown hues with a subtle hint of red and dark brown shades with a more powerful pairing to nail this trend. 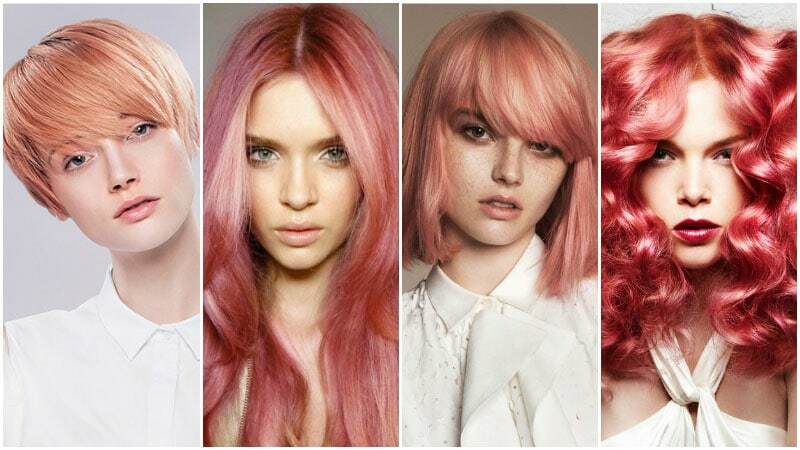 For ladies who love a pop of colour, red and pink tips are a great hair trend to try in 2017. 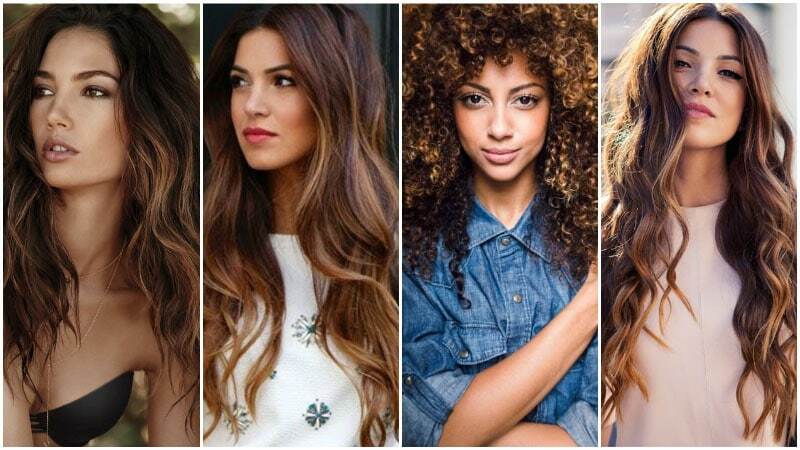 The exciting look can spice up any strands, be them brunette, blonde, or black, and radiates confidence and style. 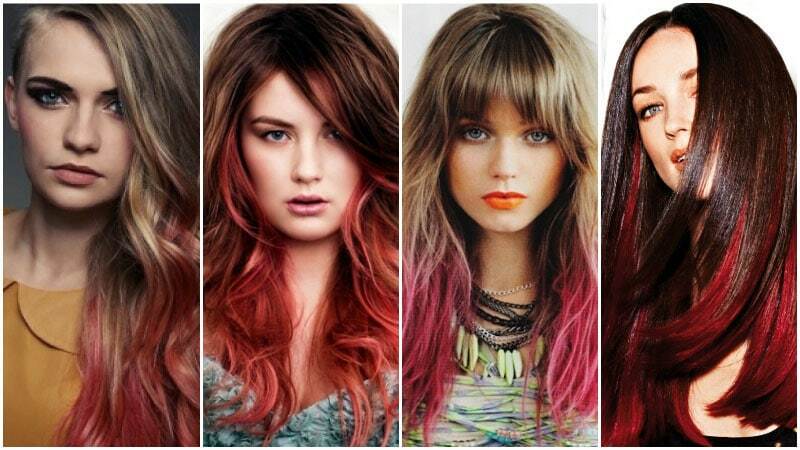 Think dark brunette base tones with crimson ends or sandy blonde strands with a washed-out hot pink. Rose gold hair will undoubtedly be everywhere in 2017 and with good reason. The luxe, shimmery shade is simply gorgeous and can create a lovely look on any hair. 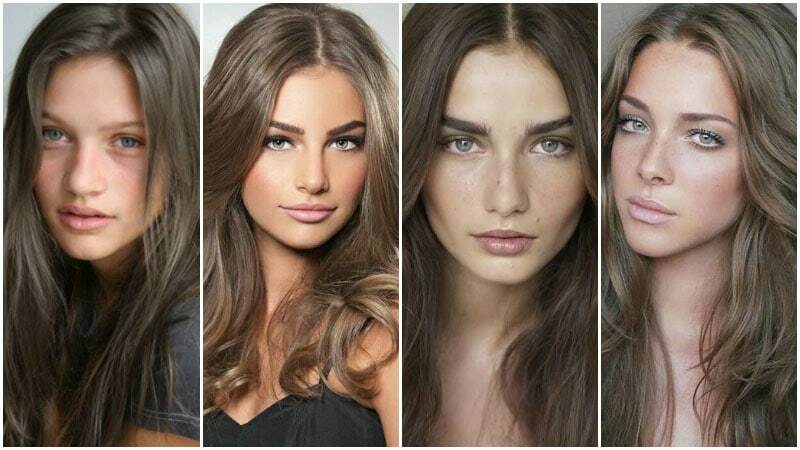 While blondes have been rocking this colour for a little while, it’s now time for the brunettes to have a go. Chocolate rose gold hair combines delicate warm pink tones with a rich brown base to create an astounding colour. You certainly won’t regret trying this trend out. Also known as flamboyage, the combination of ombre and balayage hair trends is set to be huge in 2017. The exciting new technique blends the two methods of hair colouring together to create a brightened yet natural appearance. The technique, which has already produced some impressive results, is definitely a trend to watch in 2017. Tiger eye balayage received its name from the stone with colourists using its unique shades as inspiration. The beautiful mix of caramel and deep brown highlights has been dubbed the new bronde and is already well on its way to being one of the biggest hair trends of the year. Although the colour can work on all skin tones, it looks particularly striking on warm complexions. Falling somewhere between orange and pink is the gorgeous colour of coral. Warm, bright and oh-so-pretty, coral is one of the coolest new hair trends to try in 2017. Whether you choose a vibrant shade or something in the pastel range, this statement-making colour is sure to see you get countless compliments and Instagram likes. Although pastel hair colours are by no means a new trend, they are set to be popular in 2017. To keep the look updated and fresh, choose a two-tone style. 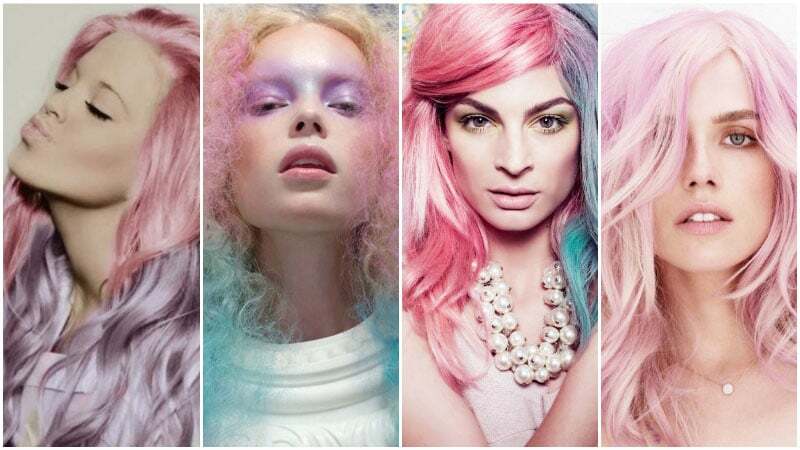 Combining colours such as fairy floss pink, lilac, and mint, these bold new partnerships are daring and different. For those wondering how to rock the look, there are a few ways. Choose between options, such as a half and half approach, top and bottom or base and highlights, to find the look you like best.